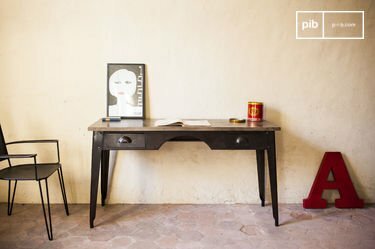 Placed on an industrial desk, a table lamp will generate a "workshop" style decoration and add a unique effect to your home. 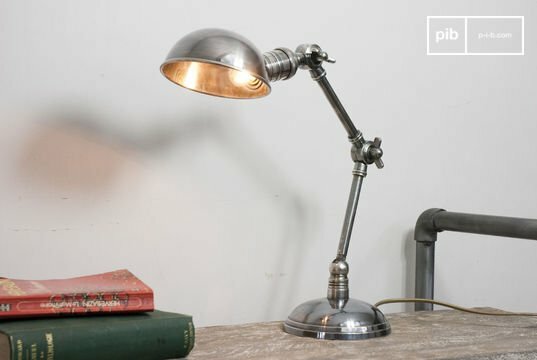 Displayed in a bedroom, perhaps placed on a shabby chic bedside table, an industrial table lamp is a versatile lighting option. Depending on the desired ambiance and the chosen room, you can vary the power of the bulb in order to establish a different effect. Some models, like the legendary Jieldé, are adjustable and are sure to meet all of your decorative expectations. 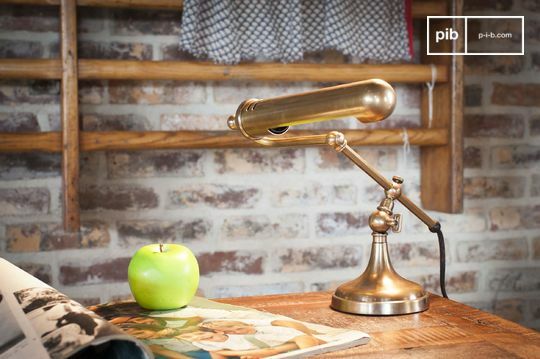 On a work surface or a side table, an industrial table lamp will introduce an undeniable charm. A table lamp is an ideal practical decorative accessory to place in a living room, often on a side table to light up a corner of the space. This enables you to emphasise the overall balance of your decor. 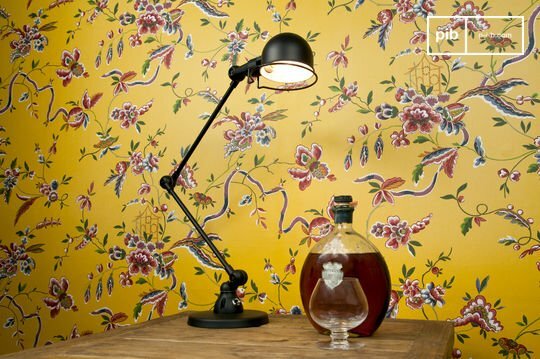 Consider putting desk lamps to brighten up your space and alleviate the monotony of long working hours. 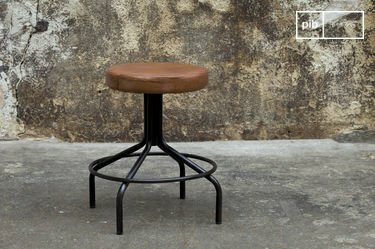 One could also be positioned near your bed for evening reading sessions. 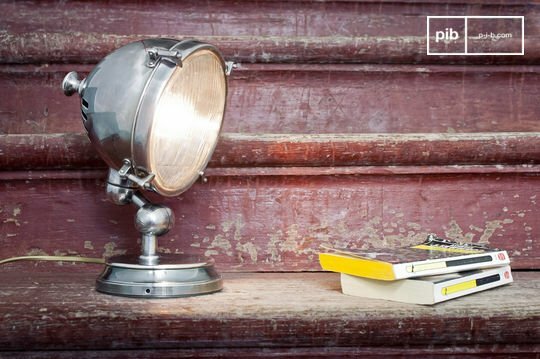 Inspired mainly by the lamps found in early twentieth century workshops, our lighting is made of sturdy metal, guaranteeing optimum strength. Thanks to a broad variety finishes, it is easy to find the appropriate shade, be it brushed metal, silver or gloss. Our fine materials are carefully crafted to obtain a convincing and authentic look. The charm created by brass and steel is undeniable, and the weight of the assembly ensures perfect stability. 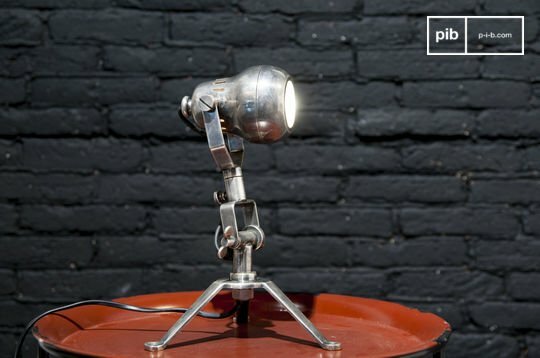 If you want to delve that bit further in the vintage field, you can even opt for filament bulbs which incorporate a visible filament. 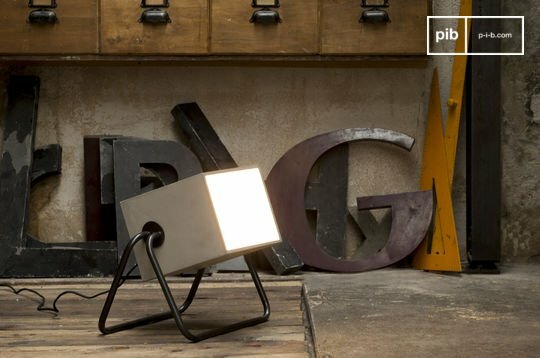 This option is, clearly, an interesting addition for your lighting. 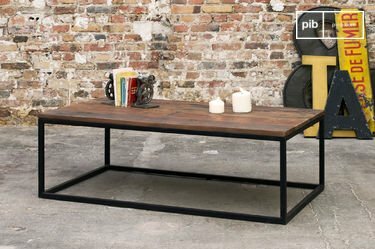 Also keep in mind that the industrial style can blend with other designs as long as the fine materials applied are correct. 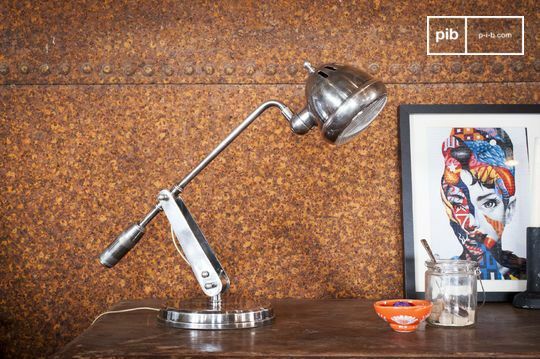 Your vintage industrial table lamp is bound to harmonise if placed on a shabby chic desk or on a solid wooden shabby chic side table. 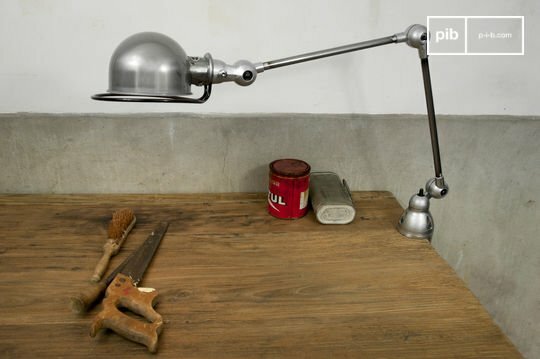 Complete your vintage bureau with an industrial lamp with accessories. An industrial mirror or enamelled plates are excellent, effective additions to a retro living room.